I really don’t like to redraw things. Once I use a particular reference photo, I can’t ever use it again, because I’m bored with the subject and want to do something new. Objectively, I know that lots of practice makes me better and I may need to redraw a base sketch multiple times in order to end up with the best possible end product, but man, is it painful! 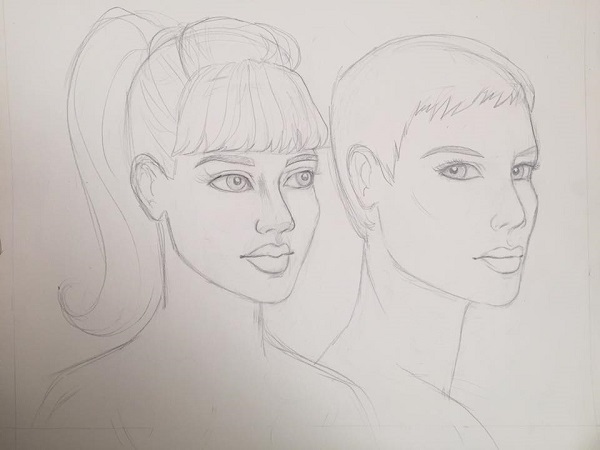 This is a drawing I did a couple months ago, just some of my first practice sketches using the Andrew Loomis method. 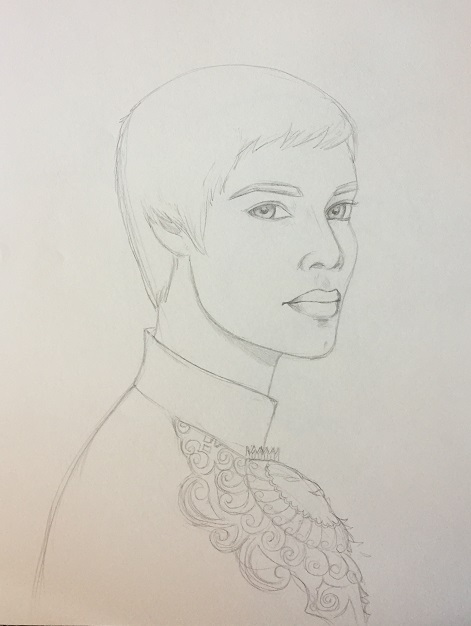 I really liked the face on the right, because it kind of reminded me of Cersei Lannister, so I drew some short hair on her (though I generally prefer to draw and color lonnngggg locks!). 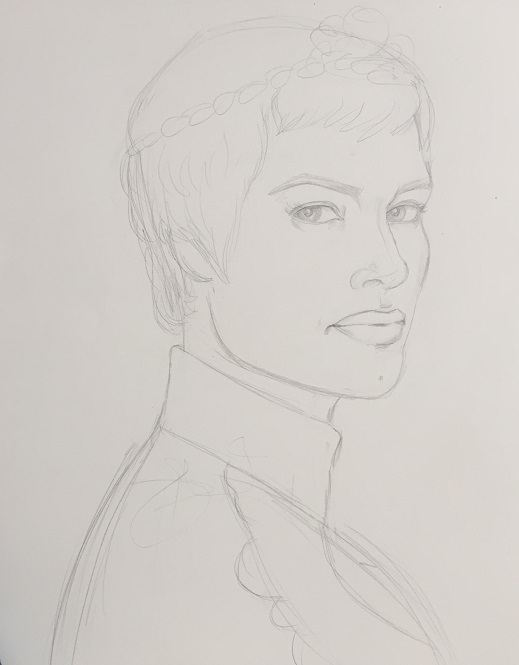 So, using that sketch as inspiration, I started a new one in the same pose, but attempting to get more of a likeness. I ended up with this, and was pretty happy with it, so I added it to my canvas. 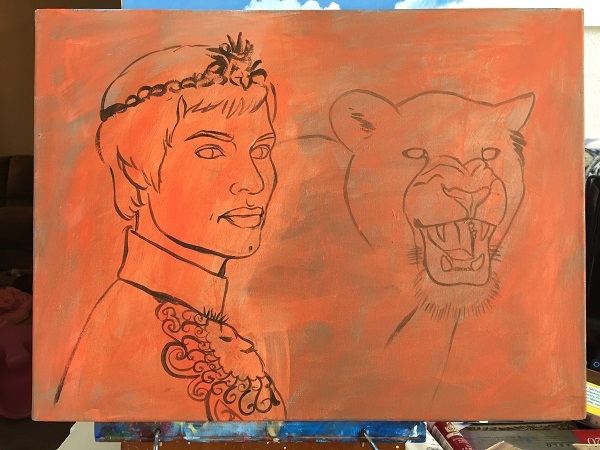 Of course, I am painting her with a lioness. 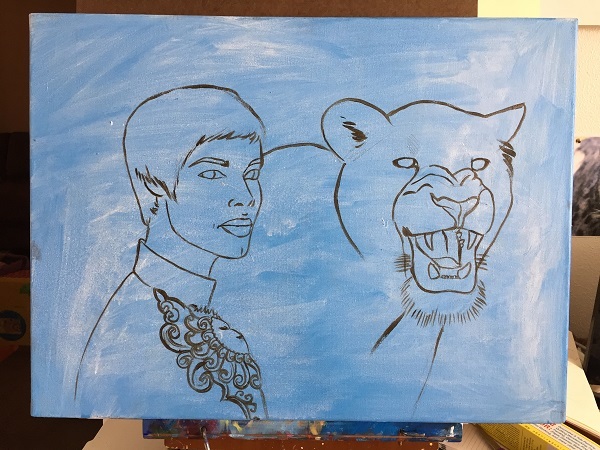 My blue base coat was on, the subjects were sketched in paint, and I was ready to start work. Something was bugging me, though. 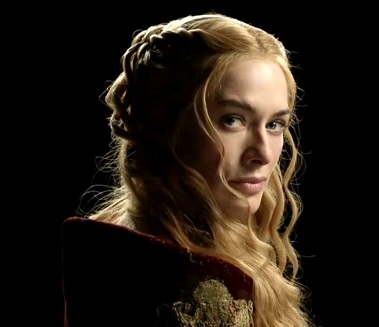 Once I saw the two together on the canvas, I realized that the lioness completely outshone Cersei. 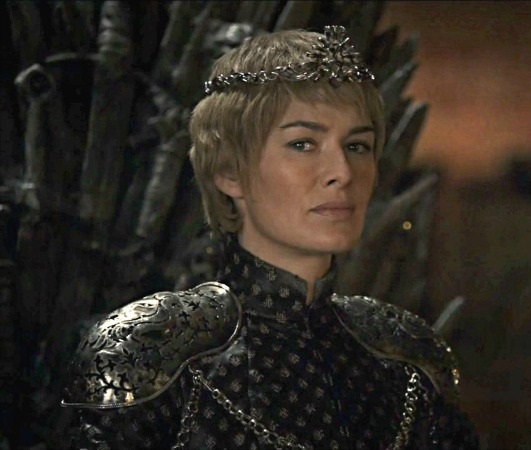 I wanted it to be the Cersei show with the lioness almost being a part of her, a representation of her own ferocity. I inwardly pouted for a short while, not looking forward to redrawing, washing over, and retracing half the painting. I asked my husband what he thought, and unfortunately he agreed with my thoughts. So, I sucked it up and redrew it, this time actually using some solid references (since before I was more or less just going by memory/imagination). 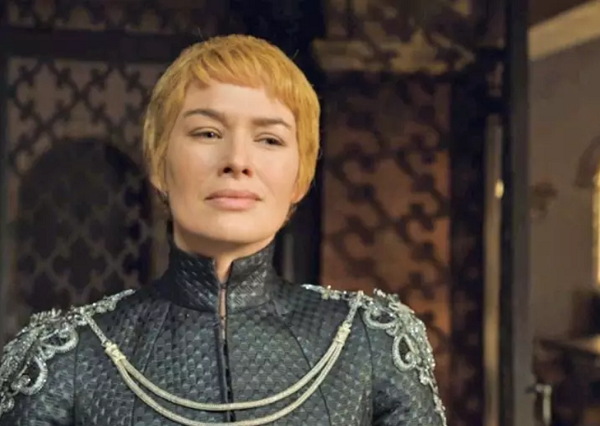 This is the most important look I was going for, at the end of Season 6, after she has both destroyed her enemies but also lost her last child. This photo is from an earlier season, but I wanted it for the angle, since it’s very close to what I wanted to draw. And here is the last of my references, her face almost turned just right, with that proud tilt I’m looking for. My finished base sketch, all ready to be transferred to the canvas! There was something else missing, though. The blue, while my go-to base color, was just too tame. It wouldn’t help the finished painting pop in any way, and would likely end up dragging it down. So I washed over it with a bold orange, and retraced it. 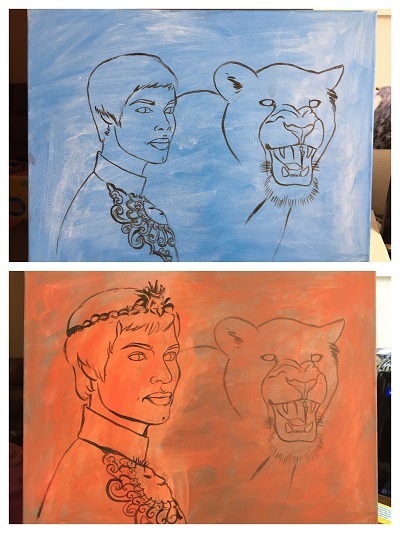 Here you can see the 2 base paintings side by side to compare! Now I’m ready to paint for reals, and even though the stages of drawing and redrawing can be painful, I’m glad I did it, because I can see a huge improvement with each consecutive sketch, and know that the final painting will certainly be a work to be proud of! What do you think? Who would you like to see me paint next?